IIE/Joint Publishers Book of the Year Award 2016! Awarded for ‘an outstanding published book that focuses on a facet of industrial engineering, improves education, or furthers the profession’. 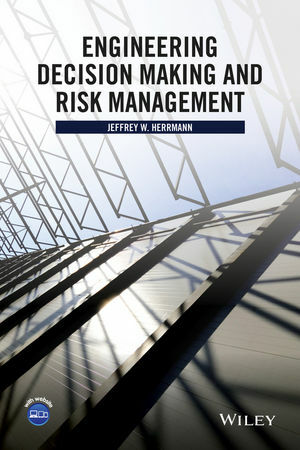 Featuring a blend of theoretical and analytical aspects, this book presents multiple perspectives on decision making to better understand and improve risk management processes and decision-making systems. Jeffrey W. Herrmann, PhD, is Associate Professor at the University of Maryland, where he holds a joint appointment with the Department of Mechanical Engineering and the Institute for Systems Research. A member of the Institute of Industrial Engineers, the Institute for Operations Research and the Management Sciences, the American Society of Mechanical Engineers, and the American Society for Engineering Education, Dr. Herrmann’s research interests include production scheduling, decision making in product development, and public health preparedness planning.